The inspiration, design and fabrication of a chess set. More than a decade ago I was given a chess board without pieces. This of course inspired me to design my own chess set. 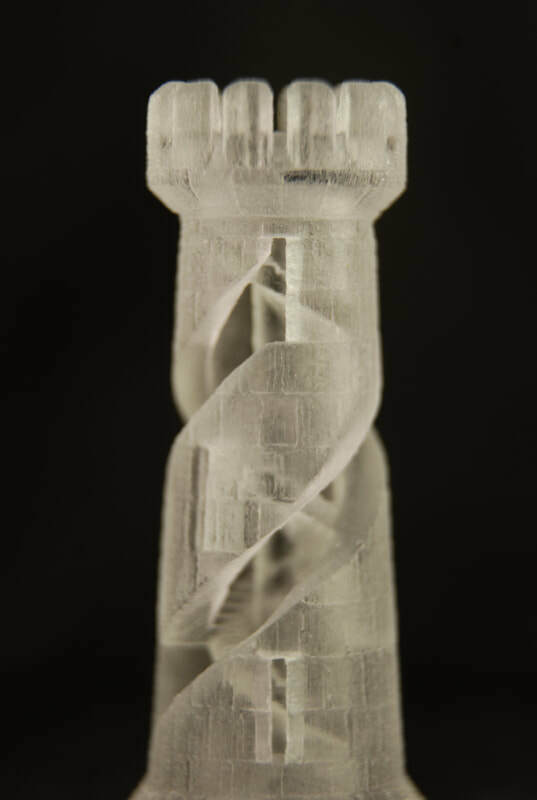 I recall sketching an image of a spiral pawn but immediately realized the challenge of fabricating such an item, much less make 16 of them consistent with each other. At the time 3d printer technology was beyond the reach of the average person. For this reason the whole concept went on hold for many years. By 2012 3d printing was becoming feasible and cost effective providing the opportunity to make this idea into reality. ​The concept is simple enough, the traditional Staunton chess set re-imagined as a organic double (or triple) helix. 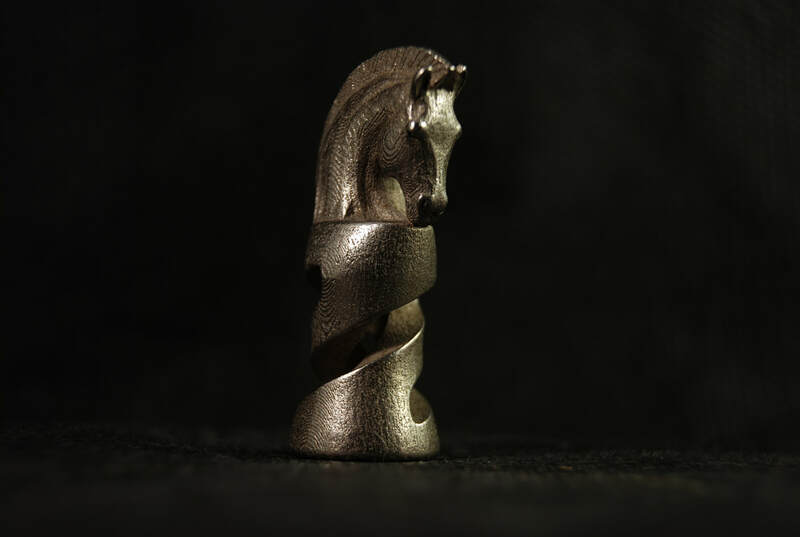 ​ With my background in drafting and 3d modeling, creating the basic profile of the pawn was relatively easy. Carving out the double helix with the organic feel that I wanted took several iterations to achieve the intended results. 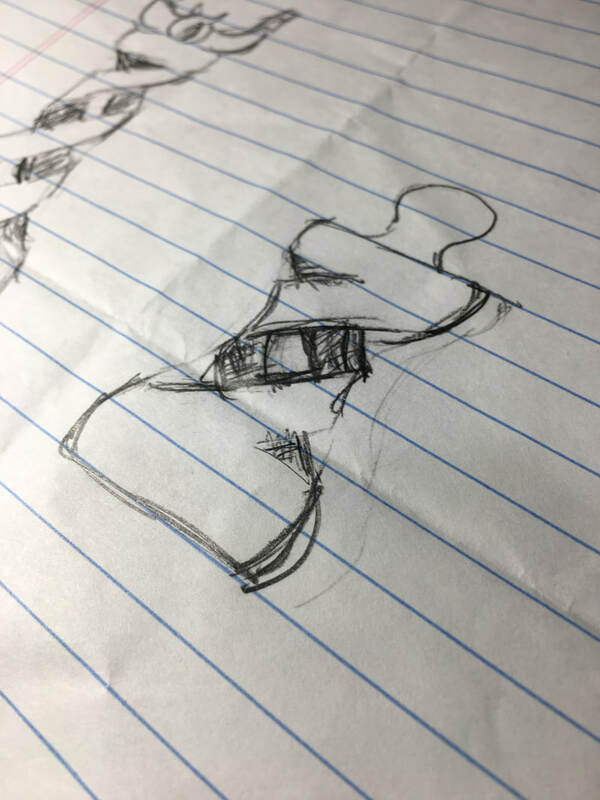 As I moved through the process of designing each new piece in the set, I found myself having to learn new tools and techniques in order to realize the vision.